The global tourism sector produces about 8% of global greenhouse gas emissions. This includes the entire supply chain of tourism: transportation, accommodation, food and beverages, souvenirs, clothing, cosmetics and other goods. With the fast-growing travel sector we need to bring the emissions down to a much lower level. Each time you book an accommodation with a low footprint at bookdifferent, you help to fight climate change. The carbon footprint is the amount of carbon dioxide (CO²) released into the atmosphere because of the activities of an individual, organization or community. By releasing greenhouse gases into the atmosphere, we have an impact on the environment, causing climate change. CO² is related to the emissions of all greenhouse gases we produce. For example: production, transport, heating and of course making energy from fossil fuels. Global warming is one of the consequences attributed to the increasing amount of CO² emissions. Our climate is changing, and this is a threat to humans and nature. We believe that ultimately real change will come from implementing regulations and incentives together with all stakeholders to encourage low-carbon operations and undertake action. 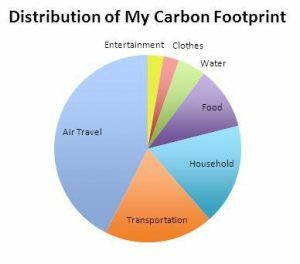 how do we calculate the carbon footprint per hotel? The carbon footprint is calculated by means of a statistical formula. This formula was developed by the Breda University of Applied Sciences (BUAS) in cooperation with bookdifferent.com and the Dutch tourism sector as a part of the ‘Carbon management for tour operators’ (CARMATOP) project. We have integrated this model in our dataset to automatically calculate the carbon footprint of all the accommodations we have in our database. Based on the real output of direct electricity use of a significant number of hotels an average output is calculated per hotel per guest night in kilos. Additional to this a regression analyses is executed on facilities of accommodations, to find out if there is a correlation of these facilities within a hotel with the direct energy output of accommodations. We found there is a direct correlation for a number of facilities of and we have calculated to what extend it correlates. Furthermore, within the algorithm we have integrated the GHG emissions specific characteristics of every country in the world. We are right now developing the third iteration of the algorithm to bring the carbon footprint formula towards HCMI compliance, the most used methodology in the tourism sector. Each year the algorithm will be reviewed by an external party, to guarantee the level of accuracy. how reliable are the carbon footprint report figures? The carbon footprint measurement in regard to accommodations is still in development. The generated numbers are an outcome of a statistical formula and therefore an estimate, but still an accurate one. There is a standard deviation of 5% minus and 5% plus on this estimate. The probability that an accommodation with a very high carbon footprint has a very low carbon footprint (or vice versa) is low. Our ultimate goal is to work with the actual figures of the carbon footprint of all accommodations. Therefor we supply all interested parties with tools to calculate their carbon footprint based on the HCMI methodology . Of course, we make sure we perform an assessment on the data delivered to guarantee accuracy and validity. what is the Hotel Carbon Measurement Initiative (HCMI)? Hotel Carbon Measurement Initiative (HCMI) is a methodology and tool which enables hotels to measure and report on carbon emissions in a consistent way. It was developed by the International Tourism Partnership (ITP) and the World Travel & Tourism Council in partnership with KPMG and 23 global hotel companies. HCMI can be used by any hotel anywhere in the world, from small guesthouses to 5 star resorts. Over 24,000 hotels globally are using HCMI. how do we present the carbon data? We will use a green foot icon for all accommodations that score lower than 14,99 kg carbon per guest night, as this is the calculated average output of an hotel based on the sample. The accommodations that have a higher output than >15 kg per guest night will receive a gray foot. Validated real data is always of higher value than an algorithm. If we have enough data it will result in a higher ranking within the search results and a with distinctive icon.